Bobruisk is a city in the Mogilev Region of eastern Belarus on the Berezina river with about 215,092 inhabitants. 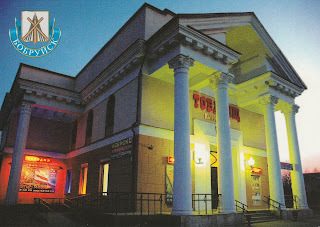 Cinema Tovarishch (Товарищ, in engl. Comrade) has worked since 1940. It was reconstructed in 2012 and a year later a second hall opened. Now it has 378 seats at all. 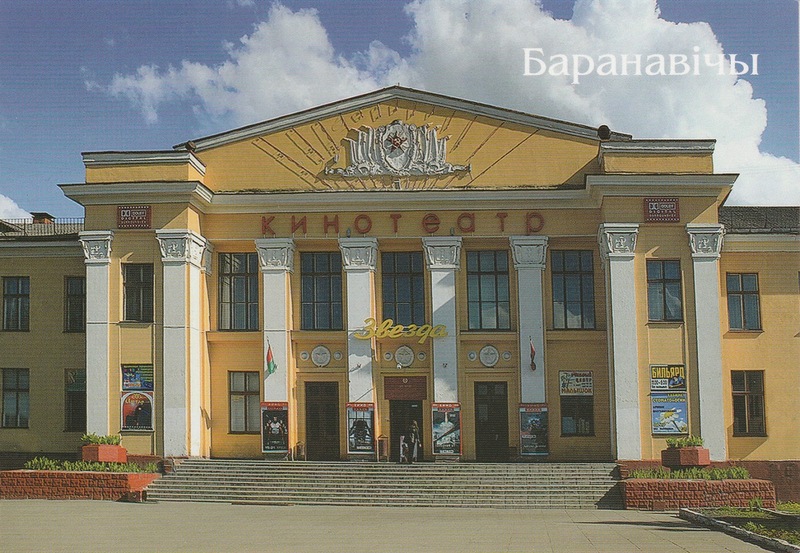 Baranovichi is a city in the Brest Region of western Belarus with about 173,000 inhabitants. Cinema Zvezda (Star) opened in 2006 with two halls with 514 seats at all. In former times the building was the House of the Officers.